Kosmochlor: Mineral information, data and localities. Named for the Greek words for space and the color green. Found as a residue after dissolution of the Toluca iron meterorite. 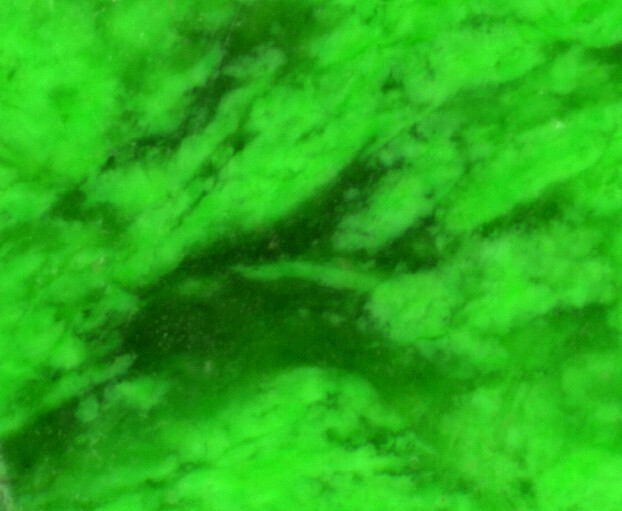 A rare, bright green pyroxene, found in some jade deposits and meteorites. Also a colouring component of the decorative rock Maw Sit Sit. Albite 4 photos of Kosmochlor associated with Albite on mindat.org. Chromojadeite 4 photos of Kosmochlor associated with Chromojadeite on mindat.org. Jadeite 2 photos of Kosmochlor associated with Jadeite on mindat.org. Chromian Magnesio-arfvedsonite 2 photos of Kosmochlor associated with Chromian Magnesio-arfvedsonite on mindat.org. Tin 1 photo of Kosmochlor associated with Tin on mindat.org. Maw Sit Sit 1 photo of Kosmochlor associated with Maw Sit Sit on mindat.org. Laspeyres, H. (1897) Die steinigen Gemengtheile im Meteoreisen von Toluca in Mexico. Zeitschrift für Krystallographie und Mineralogie: 27: 586–600. Frondel, C., Klein Jr., C. (1965) Ureyite, NaCr2Si2O6, a new meteoritic pyroxene. Science: 149: 742-744. Neuhaus, A. (1967) Über Kosmochlor (Ureyit). Naturwissenschaften: 54: 440-441. Fleischer, M. (1968) New mineral names. American Mineralogist: 53: 511. Cameron, M., Shigeho, S., Prewitt, C.T., Papike, J.J. (1973) High temperature crystal chemistry of acmite, diopside, hedenbergite, jadeite, spodumene and ureyite. American Mineralogist: 58: 594-618. Morimoto, N., Fabries, J., Ferguson, A.K., Ginzburg, I.V., Ross, M., Seibert, F.A., Zussman, J., Aoki, K., Gottardi, G. (1988) Nomenclature of Pyroxenes. Mineralogical Magazine: 52: 535-550. Origlieri, M.J., Downs, R.T., Thompson, R.M., Pommier, C.J.S., Denton, M.B., harlow, G.E. (2003) High-pressure crystal structure of kosmochlor, NaCrSi2O6 and systematics of anisotropic compression in pyroxenes. American Mineralogist: 88: 1025-1032. Shi, G. H., Stöckhert, B., Cui, W.Y. 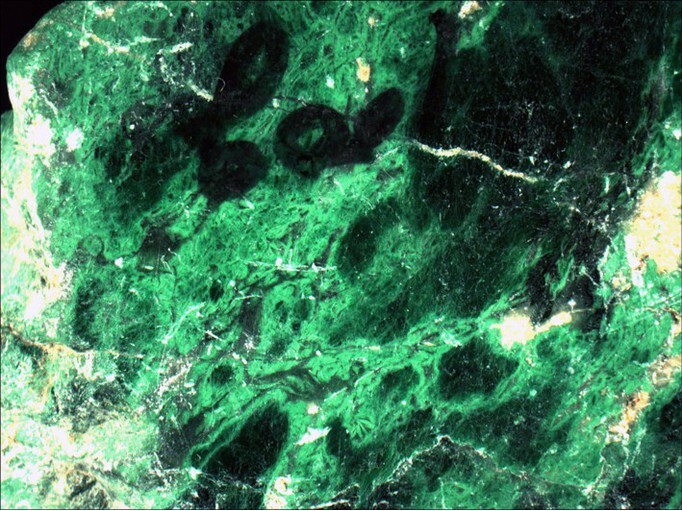 (2005): Kosmochlor and chromian jadeite aggregates from the Myanmar jadeitite area. Mineral. Mag. 69, 1059-1075.
ⓘ Indarch meteorite (Elizabethpol; Gindorcha; Glindorcha; Indarh; Indarkh; Schuscha; Suscha) ? A. Greshake & Adolf Bischoff (1996). 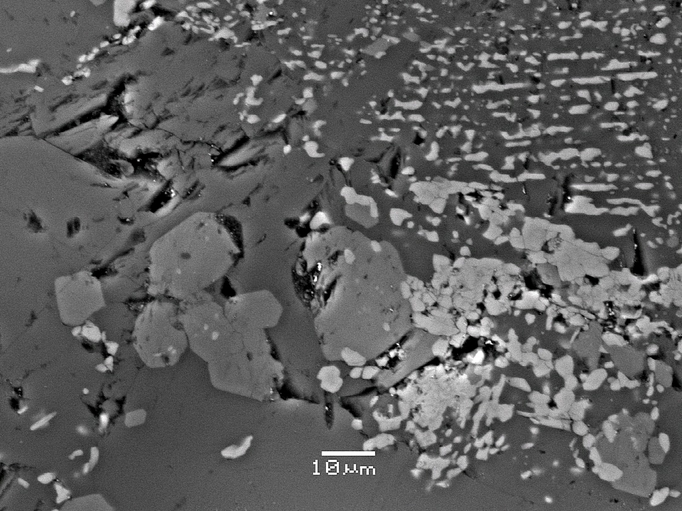 Chromium-bearing Phases in Orgueil (CI): Discovery of Magnesiochromite (MgCr2O4), Ureyite (NaCrSi2O6), and Chromium Oxide (Cr2O3). Lunar and Planetary Science, 27, p. 461. Fornaseri M., Bensa G. (1939): Sulla cloromelanitite di Mocchie in Val di Susa. Periodico di Mineralogia - Roma pp. 217-230. Handbook of Mineralogy - Anthony, Bideaux, Bladh, Nichols; Laspeyres, H. 1897 Die steinigen Gemengtheile im Meteoreisen von Toluca in Mexico. Z. Kristallogr. Kristallgeom. 27, 586-600. American Mineralogist, Volume 69, pages 1180-1i,83' 1984; Nyunt, T. T. (2009). Petrological and geochemical contribution to the origin of jadeitite and associated rocks of the Tawmaw Area, Kachin State, Myanmar.